there's no secret about it, i REALLY like stars. but this one didn't really have a place anymore because i want the boys' room to be a little more plain and just have one BIG star in it...oh and a poster of a star wars clone trooper, but it has to be "cool"(can star wars be cool? according to my boys it is. ), so i'm still on the look out. and a few coats of this...have you seen this stuff? 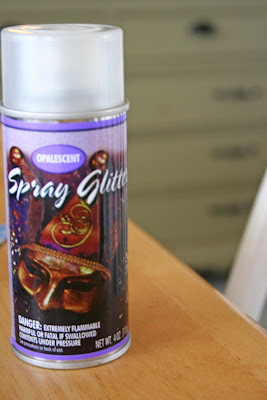 this spray glitter is amazing and quick to dry...but i think i'm going to do my own glittering so that it shows up more. and now it's in the little ones' room. because i still have say in her room for a few more years. Saaa-woooon!! I love it! Serious eye candy. 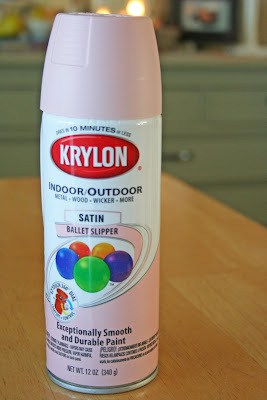 I used that same pink spray paint on a little stool I have for the girls. It's such a cute color. That looks great! Too cute! Very Cute, I love that color! Love love love it. looks great. I've used that glitter on shoes for my girls. You always have such good ideas. Makes me want to get out and redo my whole house! I love it in pink! It looks great with a little makeover. that's so very cute. i wish my girl liked pink, but she's been a green-loving gal since she was a baby. no kidding. she always picked out the green toys and carried them around. 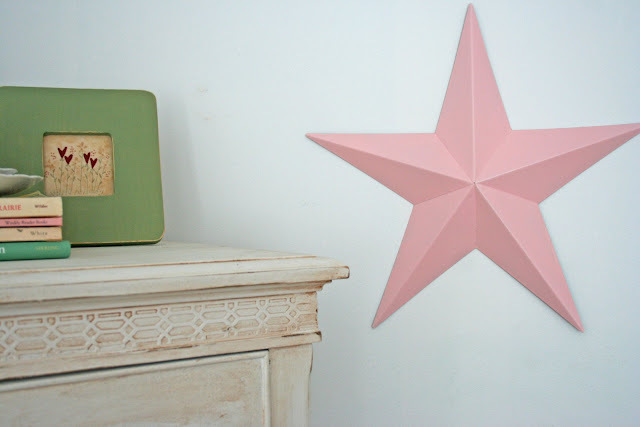 Now I want to spray paint one of my stars pink, just for the heck of it. cute! did you refinish her dresser with that whitewash? if so, how did you go about doing it and what color did it start out as? Yeah...there's nothing like a good ol' can of spray paint! Spray paint makes the world go round... We have crates, and crates of it! Love this color. 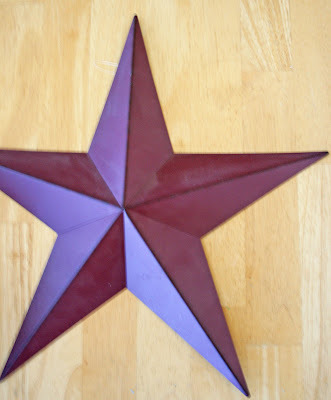 I have a star from Christmas that I should paint. Thanks for the idea!! That looks so sweet in your daughter's room. Very, very cute!!! I love spray paint! You just have to love a little spray paint! Waaaaah... sparkle paint? Paint. Glitter. In a can? Looking for my car keys right now! How do you come up with this stuff! You are awesome! I always get good ideas from your blog!